The game takes place entirely on a "broken star" where a young woman is trapped. With the star "deprived of its power, she can neither use it to escape nor inform others of her plight." Fortunately, "there exists a point on this star that intersects with another world," which is her connection to you. 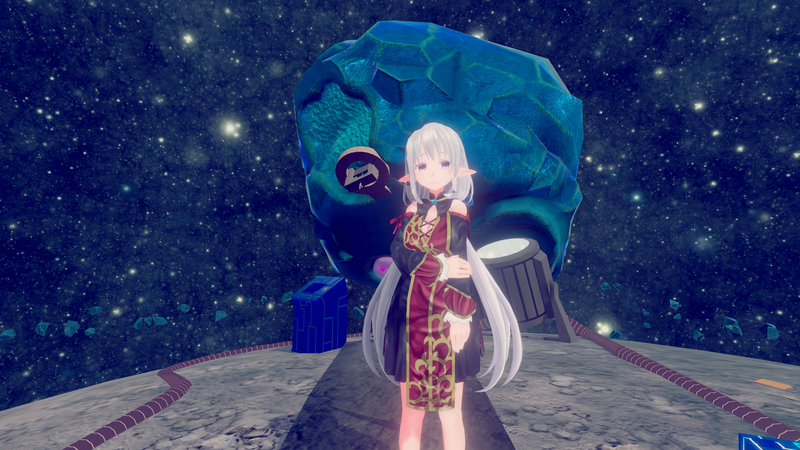 Although not physically present with her, "by standing on this convergence point and wearing the Otherworld-Viewing Device, [you] can enter the parallel world and communicate with the girl." Only by working together will you be successful in "restoring the star's power so she may be able to leave." Developed by Jitensyasougyou, like many Japanese games Tale of the Fragmented Star has as anime influence, and players can choose between (subtitled) Japanese and English voice acting. 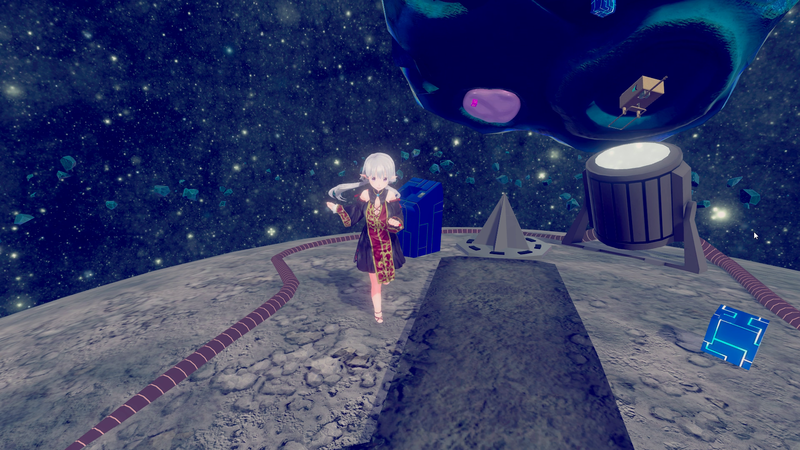 What really makes this "communication-oriented VR puzzle game" stand out from the norm, however – even among virtual reality titles – is that rather than using motion control, here you can only use your eyes to communicate with the girl. Progress is entirely dependent on which way you're facing and what you're looking at, as the direction of the headset informs the protagonist what she should attempt to interact with next. There are a few optional controls available, but the game has been designed specifically with this vision-based control scheme in mind. 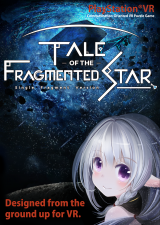 Originally released for Oculus Rift, HTC Vive, and Windows Mixed Reality late last year, now Tale of the Fragmented Star has arrived on PSVR with an "Early Purchase Bonus" offer that expires April 26th. A lone girl stands abandoned on a broken star.